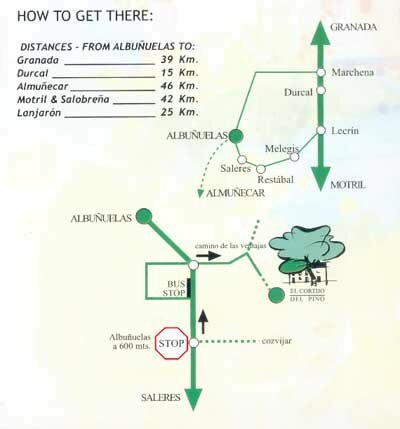 How to get there - Most visitors come by car and we are 14 kms on a pretty country road from the motorway Granada - Motril ( A44 ) at Exit 153 which leads directly to Albunelas and on entering the village our signboard is opposite the bus stop and up a steep hill to the house. Warning - do not rely on GPS as the Camino de las Ventajas ( the hill) does not appear in the system! Granada airport is 45 mins away and Malaga approx 2 hrs either by the inland motorway or the coast motorway A7. 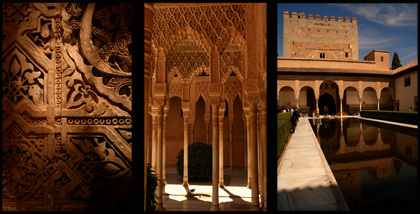 The Alhambra is 30 mins and visits should be pre- reserved on Alhambratickets.com before coming. 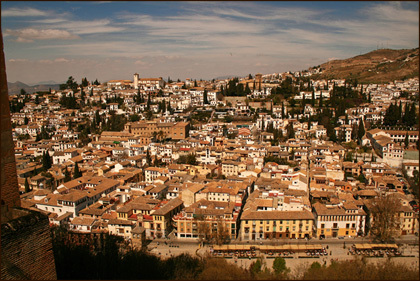 Close to the Alhambra is the fascinating Albaicin quarter with its narrow streets and Moorish architecture and shops, and where excellent flamenco is on show at the official school "La Chumbera" in Sacromonte. Albaicin quarter from the Alhambra . The nearest beach is 35 kms away at the pleasant resort of Salobrena and further afield Nerja and the other beaches of the Costa.